Sorry I've been a bit quiet. I've been under the weather lately, but finding much comfort in some tea and knitting. More cardigan knitting, but this time for ME! In beautiful, sheepy, wooly Shelter. 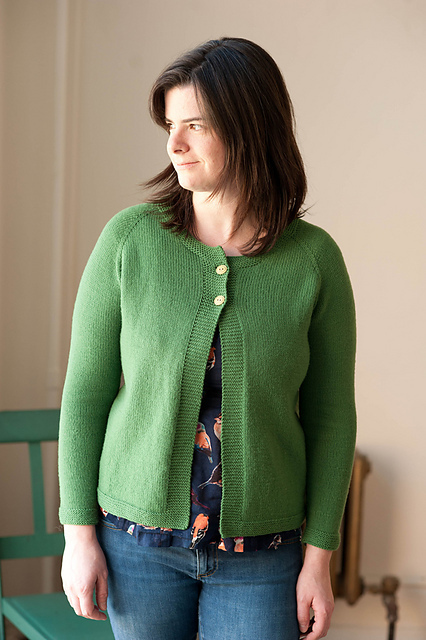 I'm making Stranger, a gorgeous cabled cardigan from Brooklyn Tweed's Wool People 4 collection. It's been a long time since I've been this excited about a project for myself. I've spent so much time these past months knitting samples and items for Gris. It's lovely to indulge a bit. I'm hoping to get this done for an upcoming trip to NYC. We're going mainly to see this. And also to go to a Dosa warehouse sale. Anyone familiar with my Pinterest account knows that I'm a HUGE fan of this gorgeous clothing company. 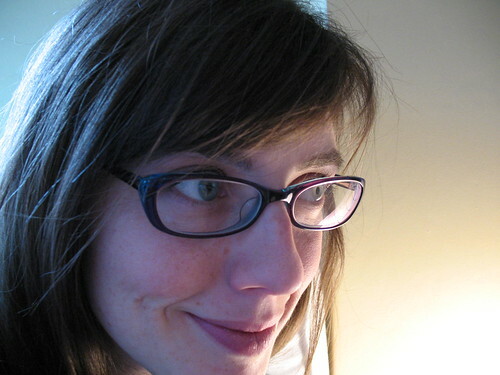 I'm also very very much looking forward to a meetup for good food with great friends. I can't wait! The Simple Cardigan is just that, a lovely staple for your wardrobe. 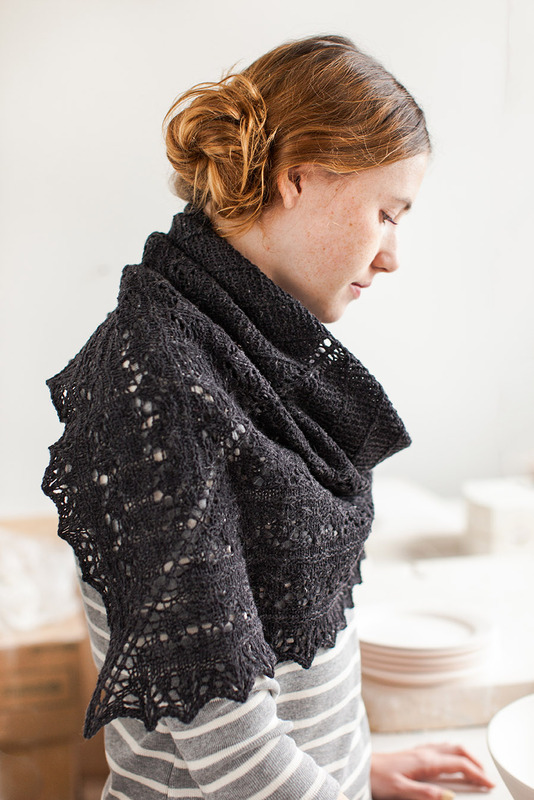 It's another charming mother/daughter design featuring Quince and Co yarn. Both mama and baby look so lovely in their new cardis, don't you agree? 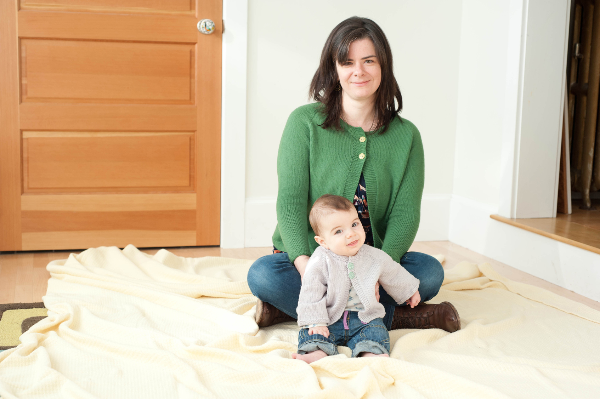 Little Mabel is sporting the Cradle Cardigan, part of a sweet collection of patterns called Mabel's Closet. 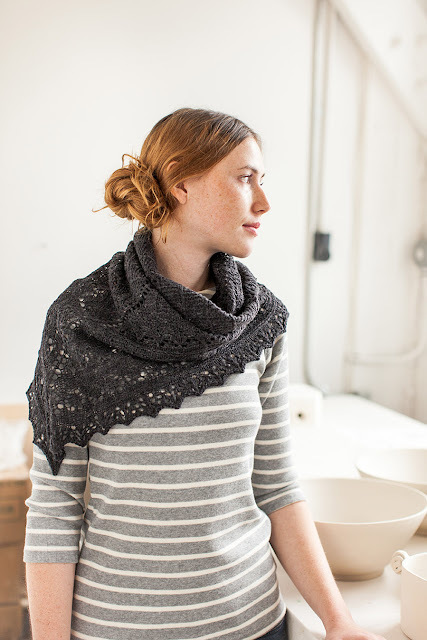 Hannah has done a great video KAL for the Cradle Cardigan, in case you'd like to make one for your own little trend-setter. The whole collection is just darling. I tell you, that Mabel sure is one well-dressed babe! 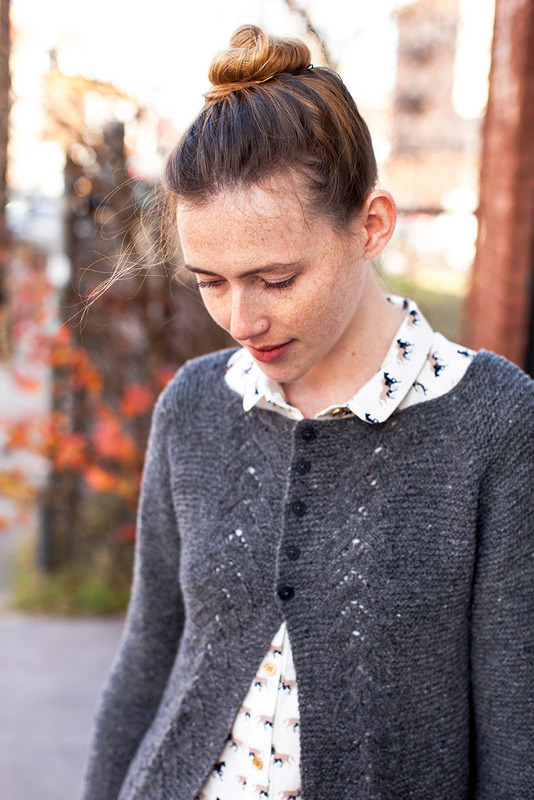 Here's another sample that I knit for Brooklyntweed's Wool People 4. 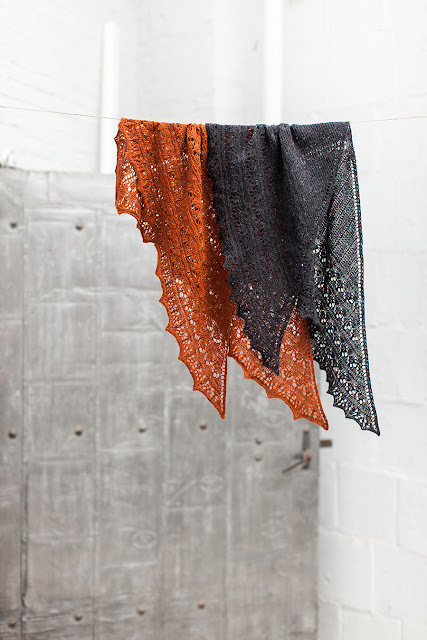 It's the beautiful Lumen shawl, designed by Sivia Harding. It's a relatively quick and simple lace shawl, and I absolutely love how it looks in the dark charcoal Loft!